Muslims are often questioned for praying at the shrines of Holy personalities such as the Holy prophet (S) and his Ahlulbayt (A). The latest BISKIT explores the concept of Tawassul in Islam: people, places, things and phenomena can be used as a means (a waseelah) to gain closeness to Allah, the Most Merciful. Beautiful recitation by Aba-Thar presented in a unique and charming fashion by Al-Balagh with Urdu subtitles. Selective duaas from Mafateeh ul Jinaan. 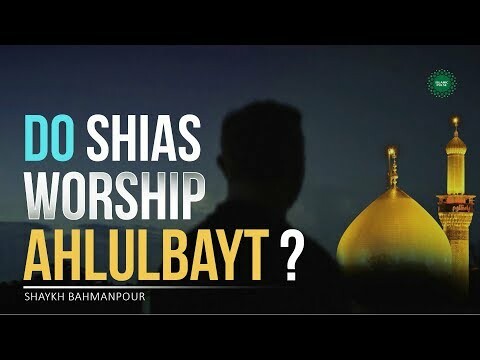 Tawassul and our attachment to the Ahlulbayt requires contemplation and research. The Holy Prophet (S) and the Ahlulbayt (A) are certainly the best means to reaching Allah. But in what way...? This session: - Sitting etiquettes - Sitting while facing the Qibla - Sitting with manners and respect - Outstretching legs - Sunnah of Holy Prophet Hujjatul Islam Haq Panah is a Howza teacher in Qom, Iran.